Grownup Fangirl: Review: TRUE BLUE by Jules Barnard + Exclusive Giveaway! 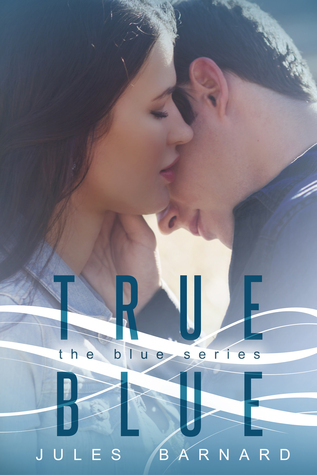 Review: TRUE BLUE by Jules Barnard + Exclusive Giveaway! TRUE BLUE follows Mira and the oh so mysterious brother of Cali who we met in book 1 - Tyler. I knew there was something going on with Tyler when I read the first book, and I am so excited that Jules decided to tell his story. The same can be said for Mira. In previous books we find her being extremely clingy and just seemingly not so awesome towards Gen. It was so very nice to find out the reasons behind her actions - and to find out what happens when romance gets a second chance. The thing about love is - we don't always get it right. Sometimes, as humans, we really mess it up. Jules always writes with such raw honesty, and this book is no different. It's very easy to see this story happening in "real life" - and I'm sure to someone, it has. Two high school kids fall in love, but are scared to say so - and because of that, they make choices that probably aren't good for either of them. That being said, those choices bring them back together and even though they both have the wrong idea about one another, even years after high school, they eventually learn to communicate and things get.... hot. Mira and Tyler don't have a perfect story. They're both super infuriating at times. They both have demons that need to be battled - but that's what makes me love them. They're real. They're honest. They're raw. Their story is quite possibly my favorite in the series. I'm again, super proud of Jules for writing about the hard stuff: addiction, gambling, and the struggles that come with chasing your dreams. Anyone can write a fairy tale. Jules can write real life - and make it sound like a fairy tale. TRUE BLUE is a must read.